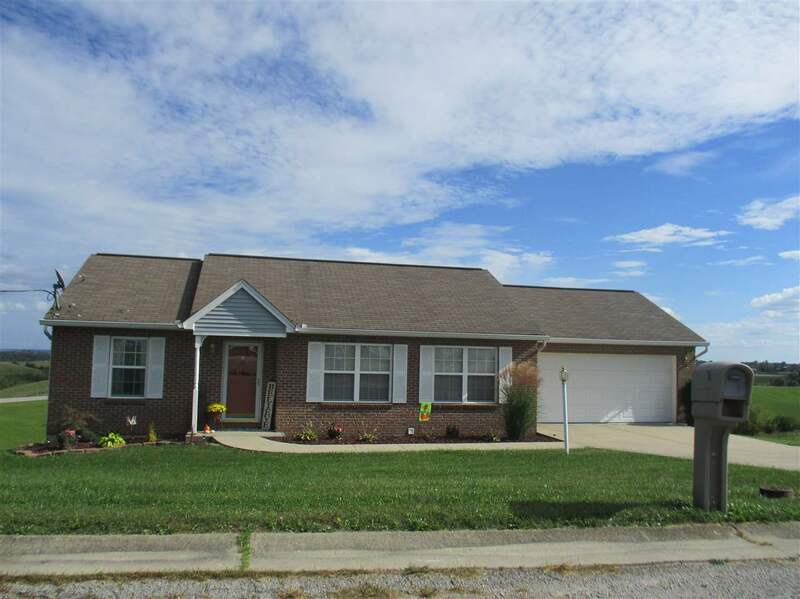 AA Highway East to Right on Hwy 154 to Left on Hwy 10 to Right on Flat Ridge Dr.
*BEAUTIFUL*Immaculate and 13 years new brick Ranch with full finished basement. 3 BR*2.5 BA*3 car garage situated on just under 1 acre. Walkout basement, 10x12 deck, concrete patio and beautiful views. Lower level attached 3rd car garage finished and insulated (great for storage or add'l car). Master BR with adjoining bath & walk in closet. Located within mins to AA Highway. First floor laundry & popular split bedroom floor plan. All stainless steel appliances will stay along with washer & dryer. Upper and lower walkouts to deck & patio. Add'l large storage room in finished basement.